Degnan Boggs, who was 9 when the Starburst fire burned through Ashland, Kan., is part of the group that cared for over 125 orphaned calves. In 2017, flames ripped through portions of Colorado, Kansas, Oklahoma and Texas. Near Ashland, Kan., the fire spared Erin (Kaltenbach) Boggs' parents' home but burned all of their grass, hay and claimed about 90 percent of the calf crop and about 80 percent of the mother cows. Boggs, and others like her, took to the task of piling the burned carcasses of cows and calves and rebuilding. 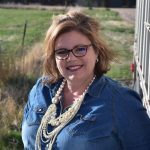 She and a friend, Rachelle Schlochtermeier, recognized that local ranchers needed surviving, orphaned calves to be cared for while the ranchers tended to other tasks. 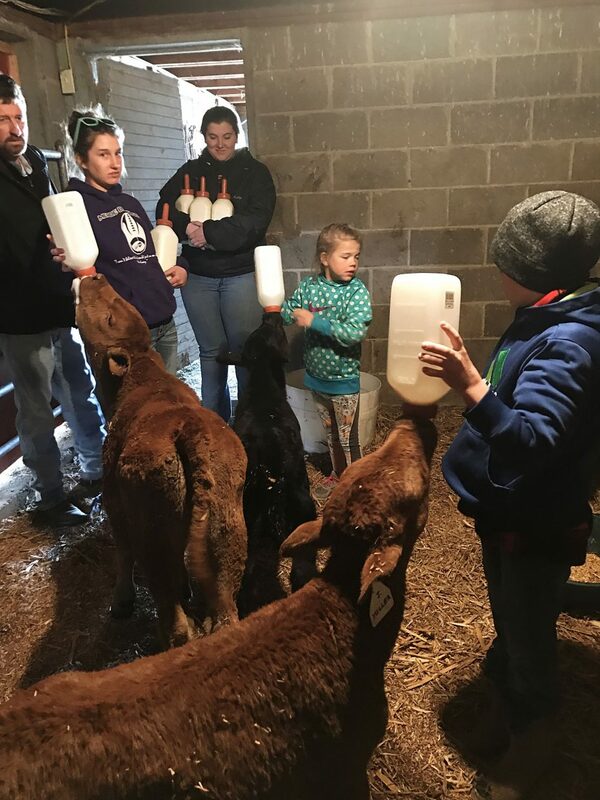 The two women and their children formed the Orphaned Calf Relief of Southwest Kansas and took in and cared for over 100 calves. 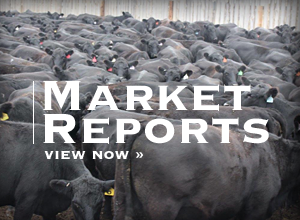 When the ranchers were prepared, the calves were returned, free of charge. The group took in calves in 2018 from another fire to the southeast of them around Vici, Okla. The medicine, veterinary supplies, and calf milk replacer all came to the area, donated by people from around the country. 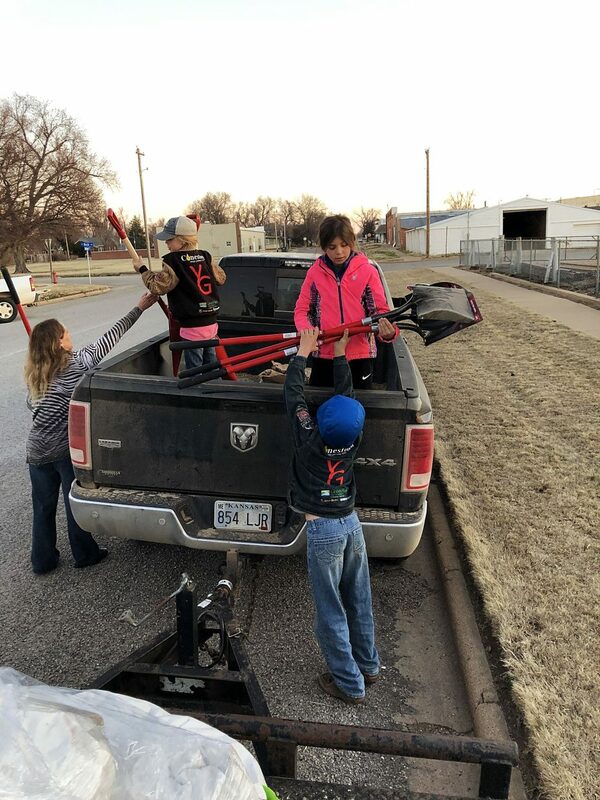 Boggs said she knows what it's like to be on the receiving end of the kindness of strangers so when a truck was coming through Vici and Ashland, bound for Nebraska flooding victims, the communities rallied, filling the trailer and sending additional trucks loaded with feed and fencing supplies. "It's a lot of people who have gotten help before and are giving it back," Boggs said. "The people who keep giving every year are amazing." Boggs said there's no doubt her children learned lessons about ranching and kindness through their experience, especially caring for two sets of calves. "They learned you're never too busy to help people," she said. "We had a full day yesterday and we got it in. I think they remember that if you have the opportunity to be a helper, be it." She said her children still talk about the people who came to Ashland with donations and count the day they went to Vici to bring orphaned calves home among their favorite days. 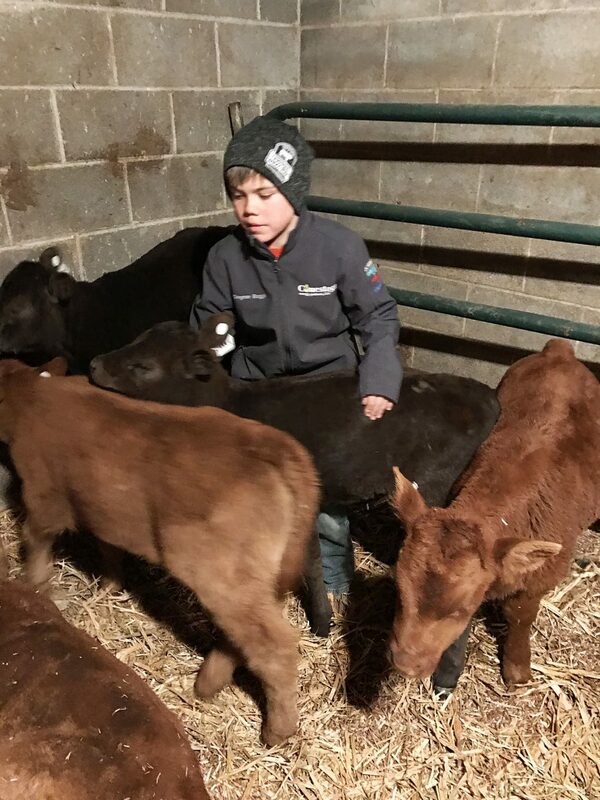 In all, the group of kids have cared for over 125 calves. Matt Schaller was behind many of those truck deliveries and formed Ag Community Relief. Schaller, who lives in Michigan and works for Hunt Farms, in David, Mich., returned to Kansas and Oklahoma during the Rhea fire near Vici, Okla. He's now coordinating loads of supplies to relieve Nebraska ranchers. The truck filled in Ashland arrived Thursday, March 21, in Lynch, Neb., a town that has been cut off and isolated by road damage and hasn't been able to receive many supplies. Ag Community Relief began when Schaller posted on Facebook, trying to gather donations in Michigan to send to Texas on his truck. "Over the next week, we had a flood of donations come in and people took the idea I had of looking for hay and ran with it," he said. "By the time we were ready to go, we had 10 semi loads ready to go down." 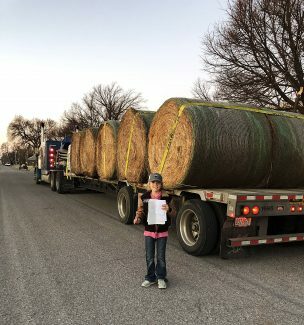 En route to Texas, he was in touch with the extension service who was coordinating hay deliveries. Schaller was diverted to Ashland and the nearby communities. When the trucks returned to Michigan, the volunteers organized into a 501C3 non-profit organization and began fundraising to ensure that ranchers would have an organization to depend upon. When the trucks rolled in the Vici area in 2018, they made an effort to shuffle loads around to various ranches, a job Schaller said is helpful and gave him the opportunity to help ranchers directly. Schaller's group also sent about 10 loads to Colorado to the Haxtun area in 2017. 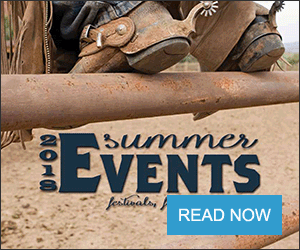 The group sells t-shirts and stickers on their website and hosts the Barn Bash, an annual event that has raised enough money that the group was able to assist with disasters and fund a scholarship award. The organization awarded a group scholarship to the Ashland 4-H club the Boggs kids participate in to pay for summer camp and awarded an academic scholarship to Schlochtermeier's daughter to pay for college expenses. Schaller and Eddie Fahley, the organization's vice president who originally delivered supplies to Ashland, were able to return during the summer of 2017 for the county fair and spent some time visiting the ranches that received supplies they delivered. While they were there, the Lodgepole fire in Montana began. "We offered the trailer if the people wanted to send it up to Montana," he said. "In about a day and a half, the trailer was packed right full and the bumper of the truck was dragging the ground and Eddie left for Montana." The concept of paying it forward is one he sees during each disaster and said the agricultural community across the country is made up of wonderful people. The organization is supported locally and from donations across the country. "We're all involved in trucking or farming in one aspect or another," he said. "We're very fortunate to have some good support from the companies we work for and the farmers that see what we're doing and want to help and donate trucks." He said rolling into a town or ranch with needed help is a feeling he wishes everyone could feel but never be faced with the reality of the need and the people facing the disaster. He continues to coordinate trucks and pickups delivering supplies to Nebraska and fundraising to help when other people need help. Melanie Pennebecker, Stigler, Okla., said she had no idea the power of using social media to help people. Pennebecker coordinates donations and trucks and fuel donations and volunteers from her home and has worked on 12 disasters in the past three years. Her Facebook page, Wildlife and Disaster Relief Ag Community, is the hub of what she calls an underground grassroots effort. She has crosses made from burned barbed wire from Ashland on her walls and a network of volunteers, many of them friends and several of them she's never met in person. Ranchers in the Haxtun, Colo., area were the first ones Pennebecker reached out to in 2017 when they needed help. Two of the drivers she sent there are still active in disaster relief efforts now. ​— Gabel is an assistant editor and reporter for The Fence Post. She can be reached at rgabel@thefencepost.com or (970) 392-4410.